An exuberant love of science and sound financial planning led Dean Earl L. Smith, III and his wife, Dr. Janice Wensveen to pledge a series of gifts, including deferred gift annuities, to the College of Optometry. 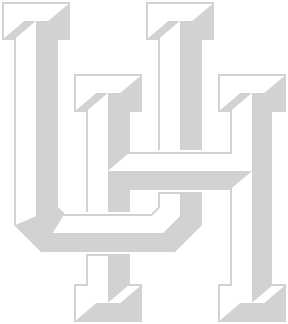 This will enable the University of Houston to create a Smith-Wensveen Endowment in the College of Optometry with priority given to an Endowed Professorship or Chair. They also left a percentage of their estate to the College, and once this endowment reaches $1 million, all future funds from the Smith-Wensveen estate will be committed to the Smith-Wensveen Endowed Excellence Fund. This fund will fulfill a need very dear to Dean Smith's a heart, as it will be a discretionary source of monies for the future Dean of the College of Optometry. "We want to support scholars," says Dean Smith, a distinguished researcher himself, and currently the interim Chief Health Officer for the University of Houston. He has held the Greeman-Petty Professorship in Vision Development since 1987 and was chosen by the Texas Optometric Association as its Educator of the Year in 2003. He is also the recipient of the Glenn Fry Award from the American Academy of Optometry for his research on emmetropization, a process that involves the proper correlation between the refractive system of the eye and the axial length of the eyeball. Most notably, he was awarded the Charles F. Prentice Medal in 2010 by the American Academy of Optometry for his research on refractive development. The Prentice Medal is the Academy's most prestigious award for achievement in research. In turn, Dr. Janice Wensveen has done substantial research on convergence insufficiency in vision and the possibility that the symptoms are often mistaken for attention deficit hyperactivity disorder in children. When asked what would be the first requirement or the main characteristic of someone who would be named as a Smith-Wensveen Endowed Professor, Dean Smith answers enthusiastically, "A good scientist!" He elaborates: "Research is very important to both of us and is, in fact, a stipulation for anyone who would be considered for the Endowed Professorship." Then there's the fact that both husband and wife are alumni of the University. "We received our major degrees here at UH," says Wensveen. "It feels like home—a home we've worked our whole lives to build." Dean Smith agrees with this and adds, "It's actually a very good investment for a balanced portfolio, as well as for giving back to the University." The Smith-Wensveens have given many monetary gifts to the University over the years, including sponsoring a room in the J. Davis Armistead Building and funding various scholarships. But a planned gift was a way to secure their legacy and build the future of the University, one that has been such a huge part of both their lives. A gift annuity is an interesting tool, one that Planned Giving Director, Lisa Holdeman is passionate about. "The very nature of a gift annuity — fixed payments each year for life, a portion of the payments tax-free, plus an immediate income tax charitable deduction — makes it particularly appealing," she explains. Dean Smith suggests that his peers and alumni should consider giving this type of donation: "People ought to take a look at this type of gift. It can actually be a great plan for old age since it provides a fixed income and tax relief." Dean Smith encourages faculty, staff and alumni to contact and speak with the Planned Giving Office. He says they were extremely easy to work with and that they were responsive and patient with the couple, as they worked out the details of the gift. Without the Greeman-Petty Professorship in Vision Development, Dean Smith says he wouldn't have been able to conduct the kinds of experiments that defined his career. It is important to both of them that the Smith-Wensveen Endowed Professorship allows the same type of academic freedom for the person who will hold the professorship. "Having worked in a University for many years, we understand that the College depends upon gifts in order to excel," he says. When they are not working, Dean Smith and Dr. Wensveen have another pastime they love to pursue: they are both accomplished scuba divers! You can often find them in Cozumel, Mexico, their favorite vacation spot. Retirement is sure to be as exciting as it will be financially stable. "That's not for a long time yet!" says Dean Smith with a laugh. Happily employed at the College of Optometry, Dean Earl Smith and Dr. Janice Wensveen are the epitome of a gracious and generous couple who have made very good decisions and shared the results of those choices with their University family.